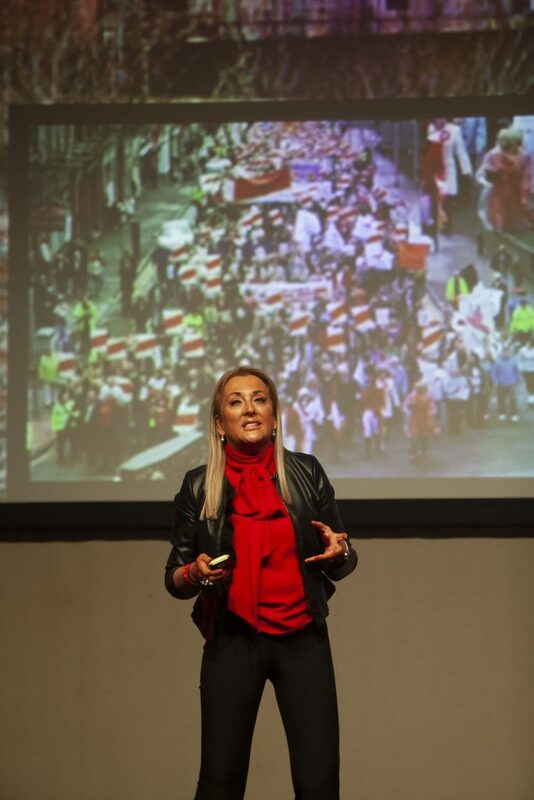 Marie Macklin CBE was a guest speaker at the recent ScottishPower Renewables annual conference in Glasgow presenting to over 470 employees. 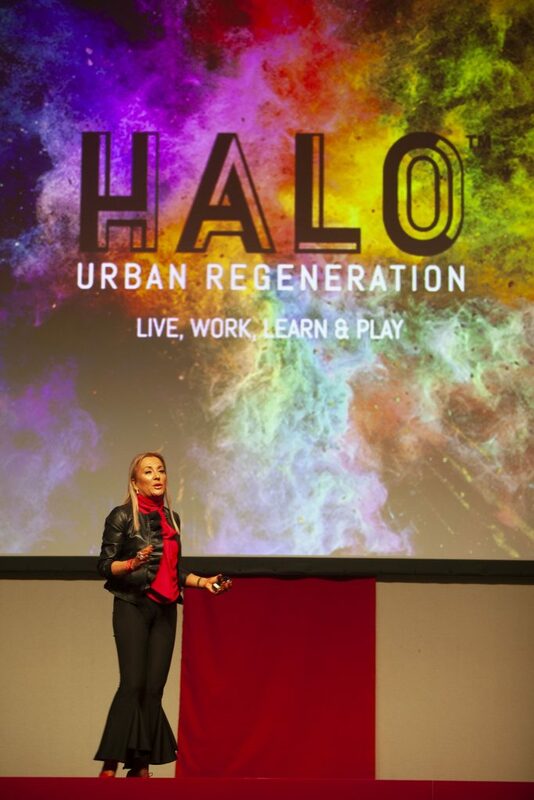 With her presentation titled ‘HALO – regeneration and future communities’, Marie spoke about her passion for urban regeneration, local communities and young people. 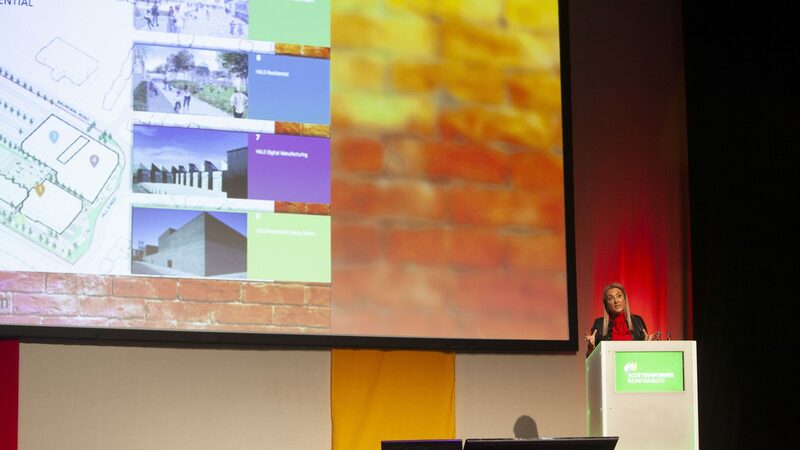 Marie also spoke about the responsibility of big businesses to help local communities develop and how the work of ScottishPower Renewables is not only having a huge impact globally but also at a local level explaining why the HALO is a great example of this in practice. 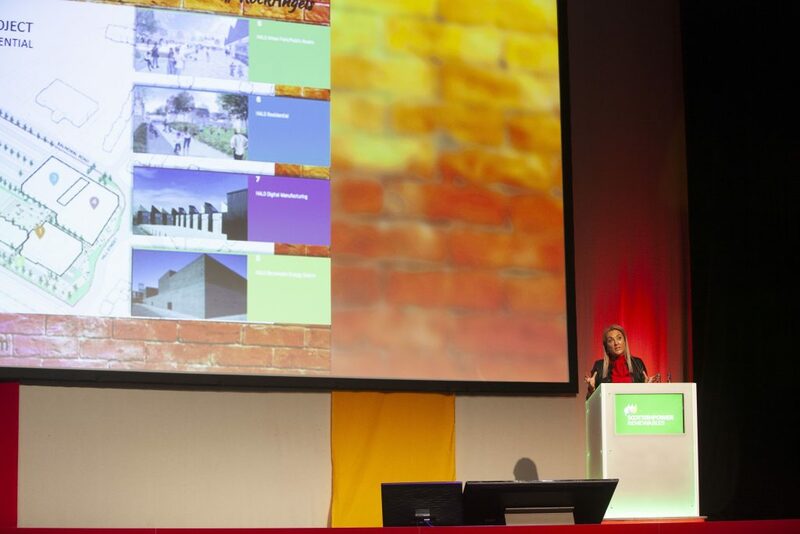 The ScottishPower Renewables annual conference, held at the SEC Glasgow, is one day in the year when the whole team, spread across five countries (UK, USA, Spain, Germany, France), comes together to engage as a group and discuss the wider objectives of its parent company, the Iberdrola Group. ScottishPower Renewables is at the forefront of the development of the renewables industry through pioneering ideas, forward thinking and outstanding innovation. Earlier this year, ScottishPower and The HALO Scotland announced a ground breaking partnership that will see the energy giant established as the headline partner of the Kilmarnock urban regeneration initiative. 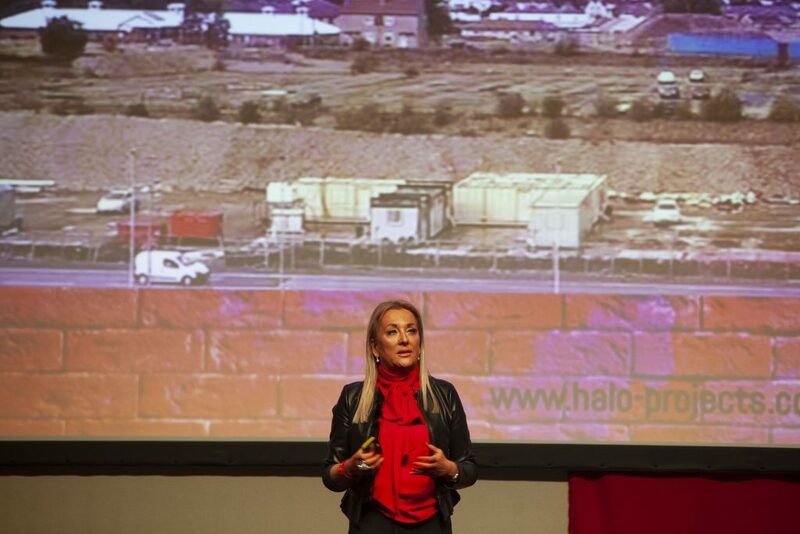 Marie Macklin, Founder and Executive Chair of the HALO Urban Regeneration Company, said: “It was an honour to speak to over 470 members of the ScottishPower Renewables team at their annual conference in Glasgow. 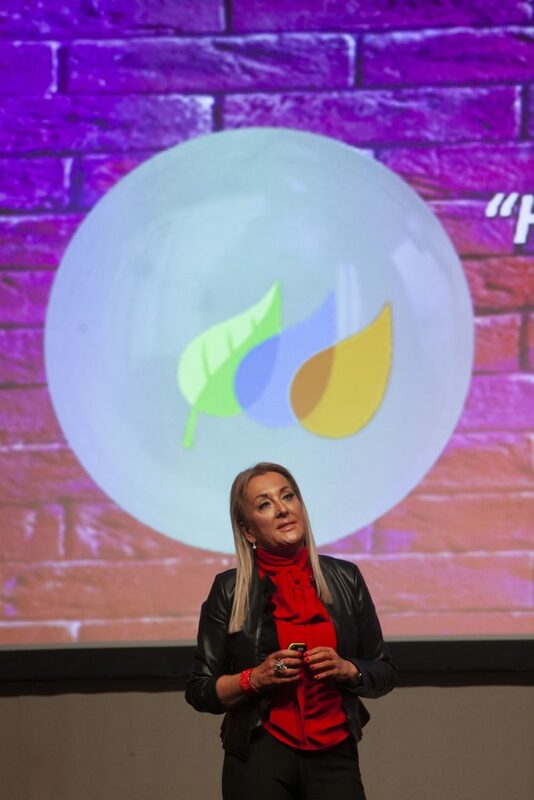 “Scottish Power Renewables is having a huge impact both globally and locally so it was exciting to be able to talk about The HALO to the team driving this success.